Deputy Revenue Secretary Mark Muchow explains the state’s fiscal year 2020 revenue projections to the Senate Finance Committee. CHARLESTON, W.Va. — Lawmakers got specifics on the budget Gov. Jim Justice presented during the State of the State for fiscal year 2020 budget. Deputy Revenue Secretary Mark Muchow and State Budget Director Michael Cook took turns Thursday briefing the finance committees of the West Virginia Senate and House of Delegates. 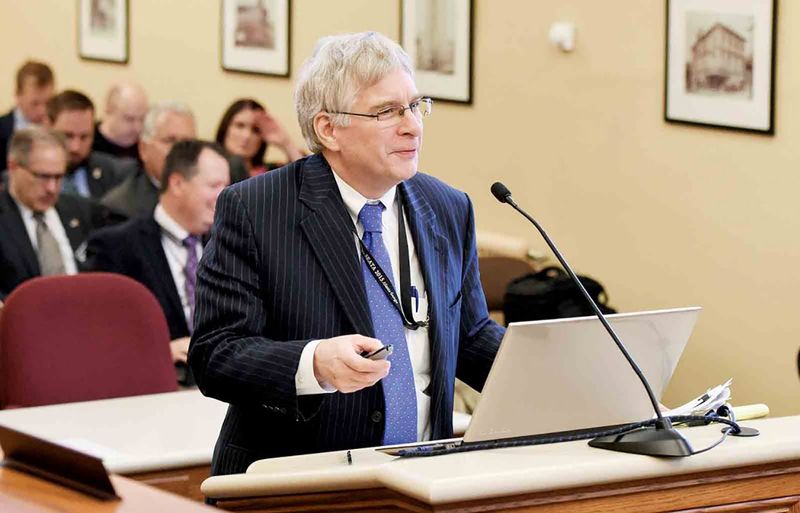 Justice presented lawmakers Wednesday night with a $4.675 billion general revenue budget for fiscal year 2020 during the annual State of the State address. The proposed budget is 1.73 percent larger than last year’s proposed budget, but it includes 2.05 percent in revenue growth.